Fall is here and it's time to share my September online income report. Every month I share my online income report to see how well my blog and business is performing, my expenses and more! This was a crazy month and I'm excited to share my results. 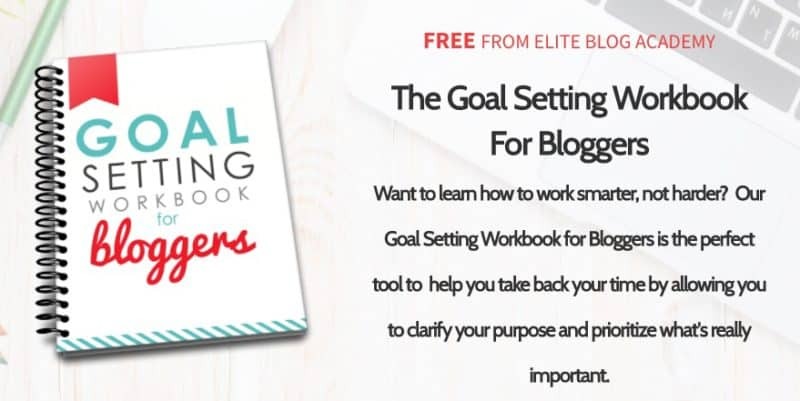 If you haven't started blogging, this blog post will provide you with a list of blogging ideas, tips and teach you how to set up your blog in 15 minutes. Read or save the post for later here. I've been publishing income reports since April 2015. Nearly two years ago I was still at my day job and using my blog as a side hustle to earn extra income. A lot has changed since then! refresher! My most popular income report is still my very first one! Two years ago, I published my first income report proudly stating how I made $60. I consider my overall experience with blogging and my online business totally worth it. I also am glad my income reports are fairly personal.I really like going back through all of my online income reports to see what worked, what stressed me out and what big decisions I was making at the time. I also love the shift my blog and business has made. For example, most of my income in the early days came from freelancing. Today it comes from affiliate income and my own products and courses. It wasn't an easy shift – it took a large part of 2016 to accomplish this – but I am so glad I documented the journey! One of my biggest concerns going into the summer months was if my traffic and I was going to experience the ‘summer slump'. This is when your blog traffic slows down, sales decrease, etc. I'll be honest – things did slow down in July and August. Part of this was intentional and part of this was just experiencing what it's like to see this happen. Like many other people, I used my summer to slow down, take vacations, enjoy the outdoors, relax, etc. I was definitely ready for a mental break and take some time off. September was a big month, which I was expecting. With the quietness in July and August, and all the hard work my course partner Gina and I have put into Become a Pinterest VA TODAY! behind the scenes, I knew September was going to be a much higher month for revenue. My affiliate income also went back up with pretty much minimal effort. In general, I think more people were visiting my blog in September than August, so it naturally increased. 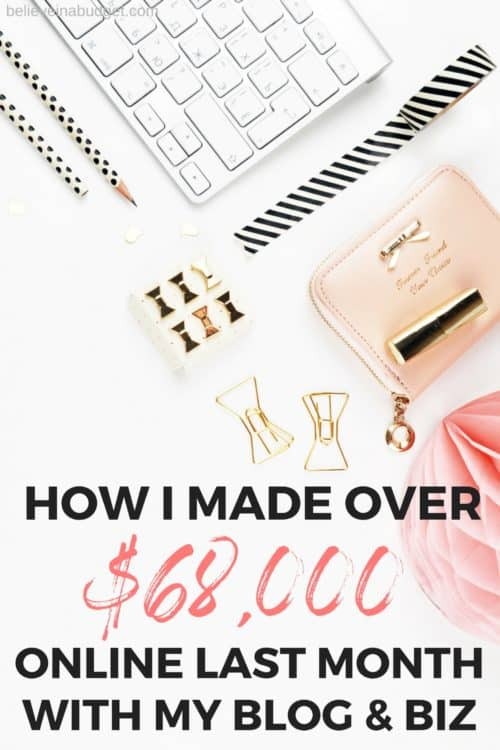 I definitely didn't do anything to increase my affiliate income – if anything, I fell behind on things and let my Pinterest pinning and Facebook posting slip by accident. Doh! I also held off on running Facebook ads in September because so much time was focused on Become a Pinterest VA TODAY! I highlighted my September 2015 and 2016 above to show you my progress these past two years. I'm back to running a lean company, woohoo! After a few months of spending to grow my business, which I 100% needed to do, things are back to normal. I feel really good with my monthly expenses. I prefer to do most of the work myself, but also have a fairly good idea about what tasks need outsourced. While everyone has a different work system, I've pretty much always been a DIY'er. I really try to learn as much as possible about something, so even if I decide to hire help, I still feel like I know what's going on with all aspects of my business. A few months ago, I also finally pulled the trigger and decided to purchase annual plans instead of monthly plans. It took me a couple of years to feel comfortable doing this though! I'm slow to make decisions when it comes to spending money (this site is still called Believe In A Budget, ha!) so once I felt really good about the platforms I was using, I went for it! Of course, if you are a new blogger or your earnings don't yet justify investing in an annual plan, don't do it! You won't benefit from the savings. I probably should have done this a year ago, but I'm slow! I wanted to be 100% sure I was using the right platforms before investing in annual plans. I am still really happy with my decisions I made though! While I answer a lot of emails from readers and fellow bloggers, one common question that I get is how I got started. 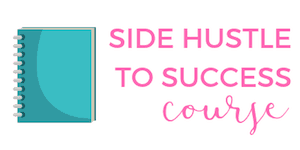 I started my blog in January 2015 as a way to side hustle and earn extra income. I went into blogging know that I wanted it to make money! I was also really patient and told myself it would take time to earn a living from my blog. But I was also realistic – you can't get rich blogging overnight. It took me four months to earn my first $60, but after that, things started to get a little easier! The first thing you have to do is purchase your hosting and your domain name. This will cost you around $40 for a year! You guys, this is a small investment to make for starting your own business that has the potential to make a lot of money. 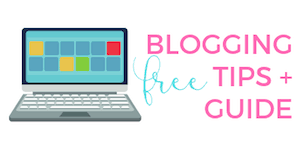 You can read this tutorial on how to pick a blogging name, a step-by-step tutorial on how to start a blog, and what to do once you have a blog. Second, I took Elite Blog Academy in 2015. This was the very first course I ever purchased. To this day, I've only purchased a handful of courses and this one definitely helped me get on the right path. If you want to learn more about Elite Blog Academy, you can do so here. Launch of Become a Pinterest VA TODAY! In September, Gina and I opened the doors to Become a Pinterest VA TODAY! for four days. This course has become our pride and joy and we have worked our butts off this year making this course better and better at every launch. We completely overhauled the course with additional material and re-filmed the entire course in person together. I love this course because it's a reflection of who I am and how I started, and Gina can also say the same thing. Being able to combine both our skills has allowed us to create the ultimate course that has really helped a lot of people! When I quit my day job in 2015, I was able to do so because I was a Pinterest virtual assistant. Now, two years later, I'm helping other creatives and entrepreneurs get to do the exact same thing I was able to do! It legit warms my heart that I get to share my story and my knowledge with other people that want to make a change in their life and start a new career! 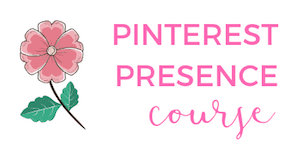 If you want to learn more about how to become a Pinterest virtual assistant, you can do so here. The course launch went really, really well! This time around we offered students the option to use a payment plan. So in addition to earnings received this month, we can also expect additional earnings to come in next month as well. This was a win-win for everyone! There are expenses associated with working on a course, but Gina and I run a lean business model. Outside of our trip to Vegas, we did all the work ourselves. We didn't outsource anything and really put in a lot of our time into this course. We also chose to skip any type of paid advertising or heavy marketing as we wanted to test how well our ‘grass roots' campaign would do using our wait list and help from our affiliates. We were really happy with everything! Paid for our annual plan with Teachable and SamCart. Set aside income to be paid out to affiliates next month. Once we receive the second round of payments in October, we will set aside affiliate payouts again. Our affiliate program is really strong and amazing. Paid ourselves each a conservative draw. Left a nice chunk in the bank to be used for our next launch. Don't forget, we have to pay taxes on what we earn, so 30% of our earnings go bye-bye right away. Bottom line – even though my income was over $68,000, a lot of it disappears into taxes, affiliate payouts, course income sharing, normal monthly expenses, savings, etc. Does this bother me? Nope! I'm still super excited by it all and super happy. I flew to Portland for five days to attend the ACTIVATE: EBA Live conference. As I mentioned above, Elite Blog Academy was the first course I took when I started out as a new blogger. This was the very first conference put on by EBA and I was excited to go and see everything in person. Overall thoughts – it surpassed my expectations and then some. Ruth Soukup, the founder of EBA, is one smart cookie. I learned more than I thought I would during the VIP workshop and my head is still spinning when I look at the insane amount of notes I took during those two days. I also got to finally meet some of my favorite bloggers, readers of this website and students in my courses! I sent out an email in advance of the conference to see if anyone wanted to meet up. Gina and I co-hosted a ‘Drinks on Us' hangout and we had such a great time getting to meet everyone! I'll be doing a separate blog post that reviews the conference (and will update this blog post to reflect that once it's live). I have no idea, ha! Just kidding. Kinda. I predict craziness and things getting hectic as we move into the start of holiday season. I am processing all the information I learned from the ACTIVATE: EBA Live conference and implementing changes into my blog and business. I am really excited about this. I've needed some direction and clarity on a few things, and I feel really confident about the changes I plan on implementing. I'm also going to FinCon in Dallas at the end of the month, so if you are personal finance blogger, I'll see you there! Are you ready for fall? Do you feel busier now than you did in the summer? These are awesome numbers. Congrats on the stellar month! I am curious about your affiliate income. Just wondering where it comes from – just promoting classes you have paid for? or more than that? I searched your blog but didn’t see any info about it. It is an area I am looking to grow in. Whoa, I am totally impressed! Thanks for sharing this report. Glad we got to connect (if only a little) at EBA Live! Looking forward to promoting the next VA course for you and Gina!